Our gourmet chocolate champagne bottles are a great way to celebrate any occasion! 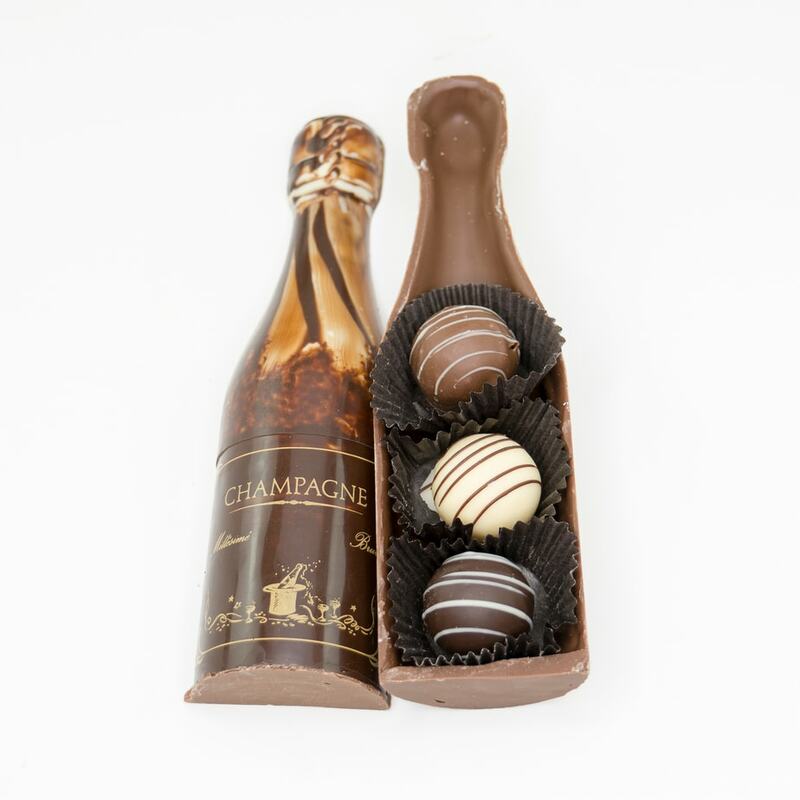 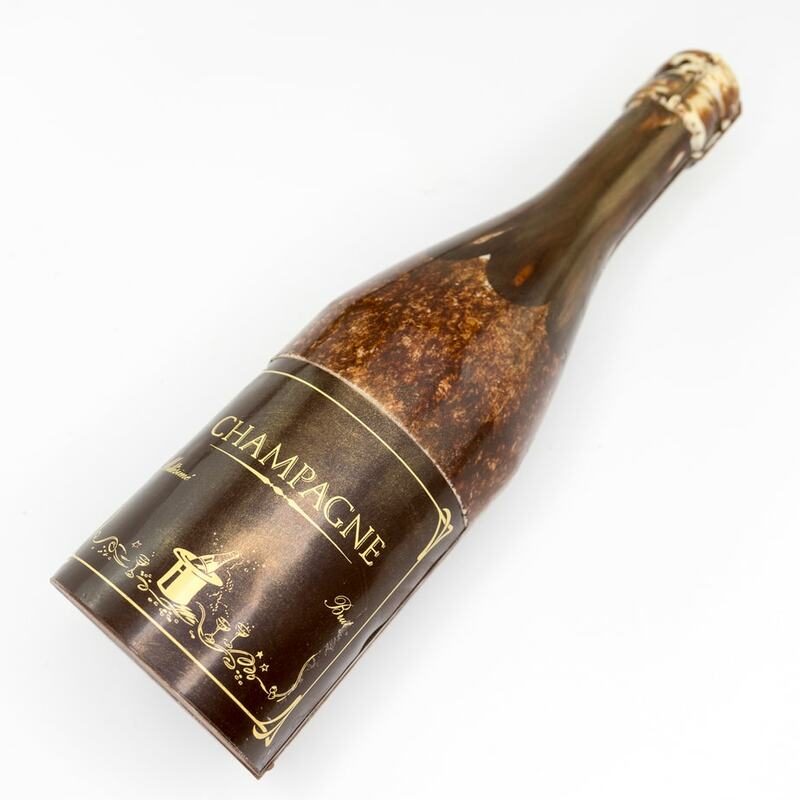 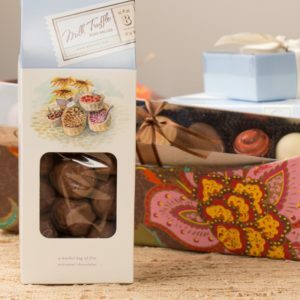 Our edible gourmet chocolate champagne bottles are a great way to celebrate any occasion! 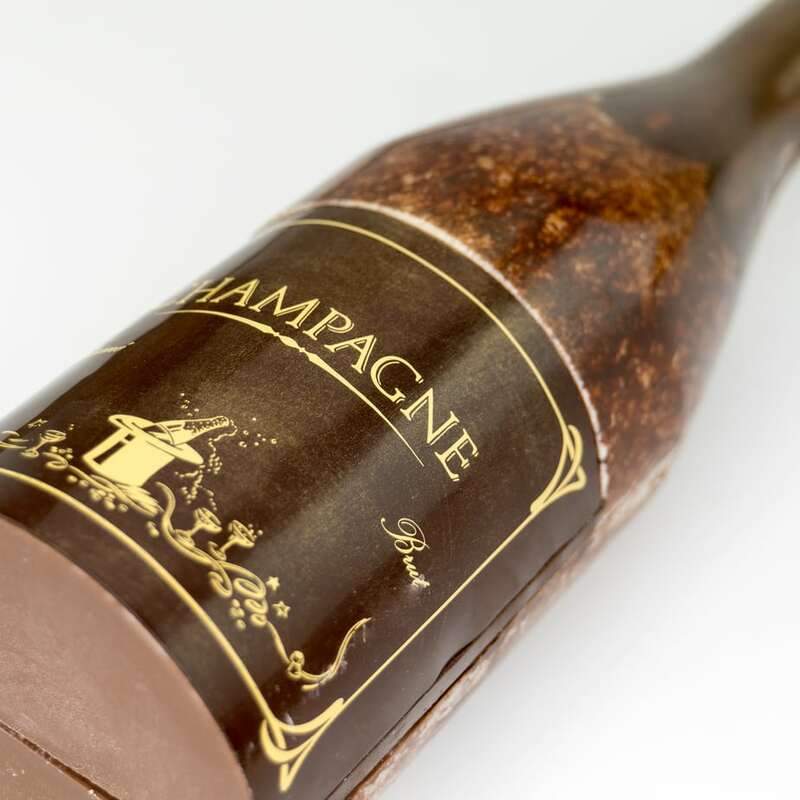 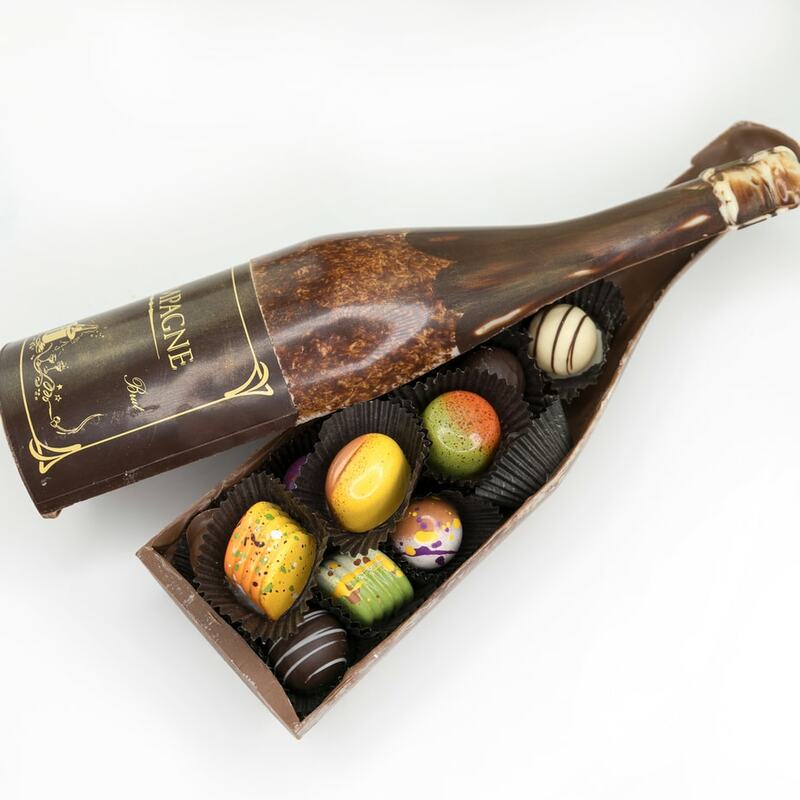 Grand Champagne Bottle – A 12″ hollow milk chocolate champagne bottle with an assortment of 16 gourmet chocolates inside. 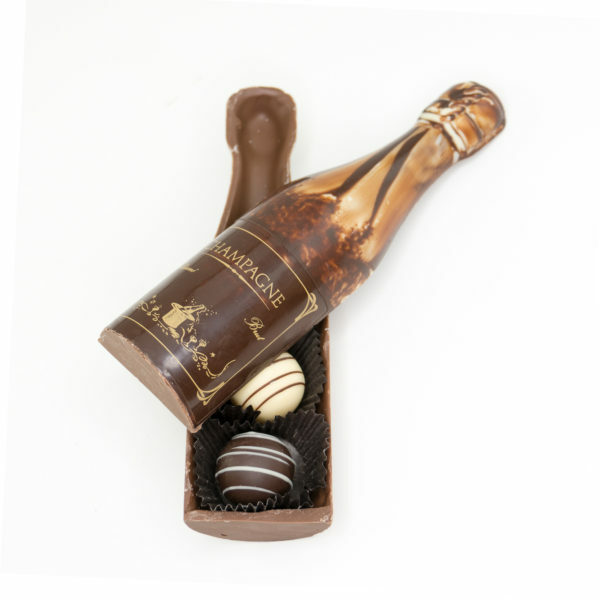 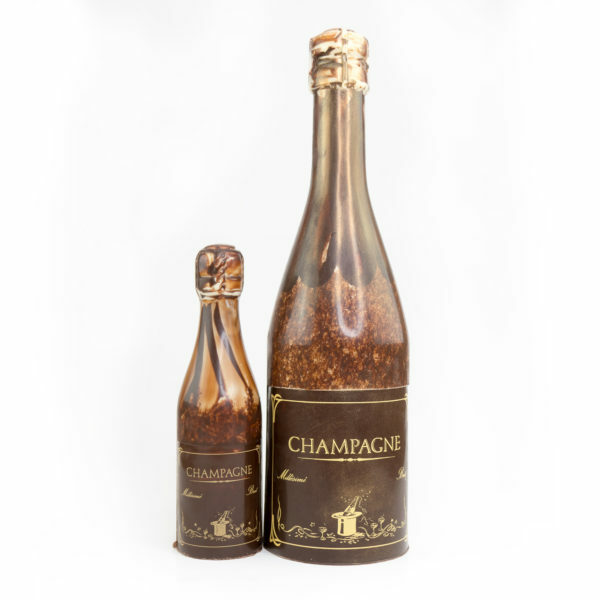 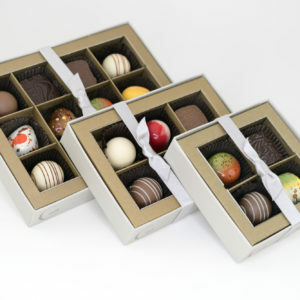 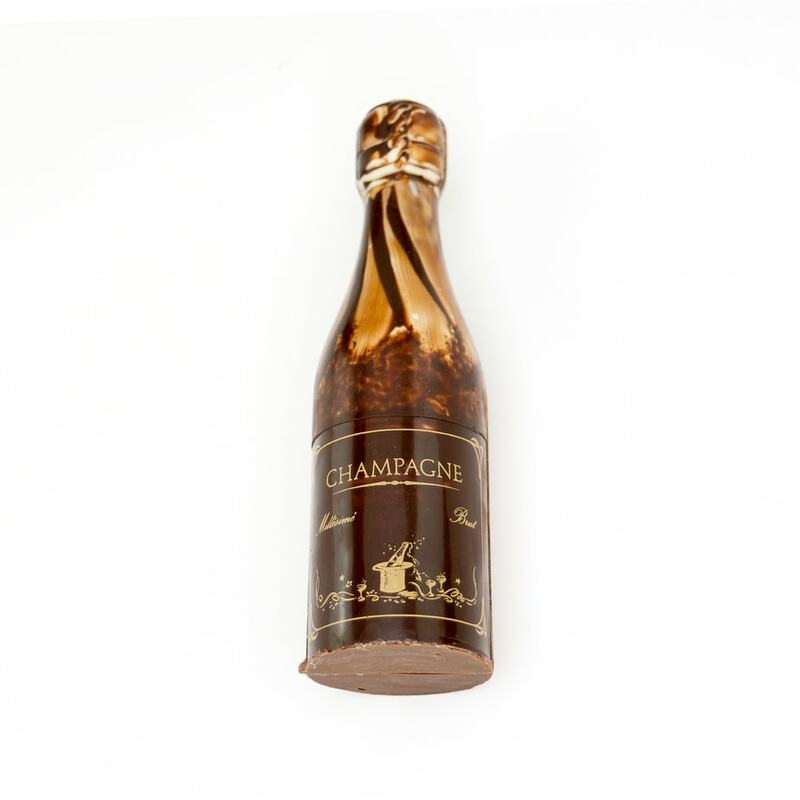 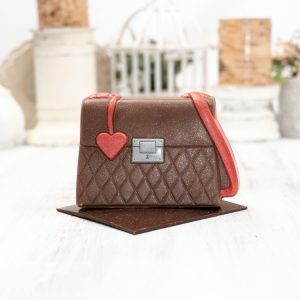 Petite Champagne Bottle – A 7″ hollow milk chocolate champagne bottle, which comes with three truffles tucked inside.